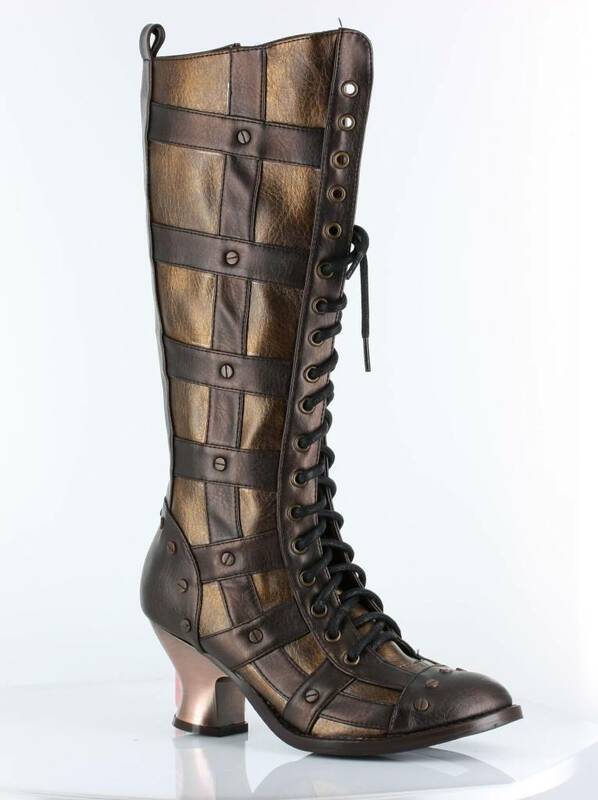 Dome is a beautiful Steampunk Victorian-influenced knee-high boot with vintage style lacing. 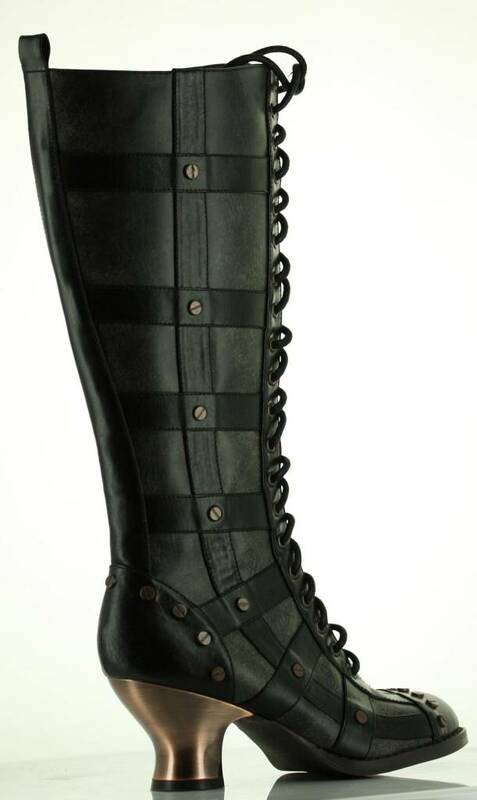 The heel is 2.5 inches. 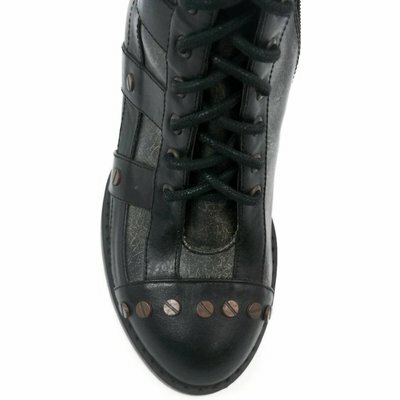 The strap cage design sits above a metal heel, embellished with screw rivets, along with a slight metallic sheen. 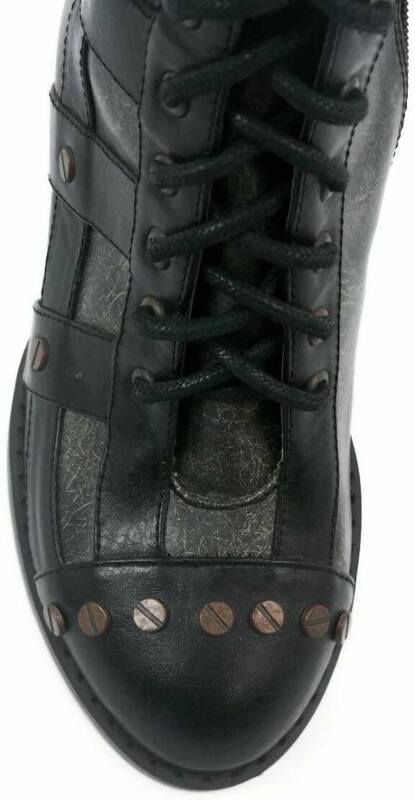 Easy access zipper at inner calf. 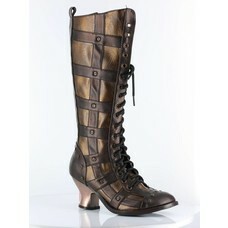 This boot is quite versatile and compliments many an outfit; Steampunk, nautical, pirate, or...you can decide. 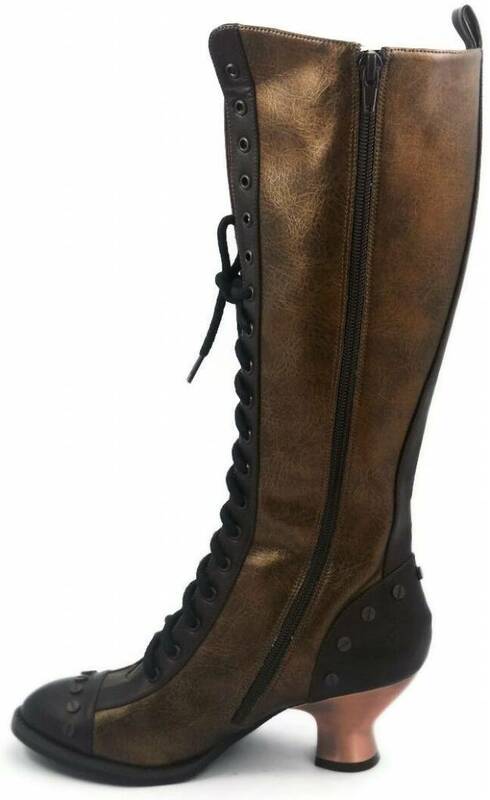 Ribbed sole makes this a fashionable winter boot.